Explore the famous temples of Ayutthaya Historical Park. You'll also see Bang-Pa-In Palace with a variety of beautiful architectural styles and a church-inspired Buddhist temple. Then enjoy afternoon shopping and relax at Ayothaya Floating Market. Located on a small island, the Buddhist temple was uniquely built in Gothic Revival style. Then we'll go to Bang Pa-In Palace. 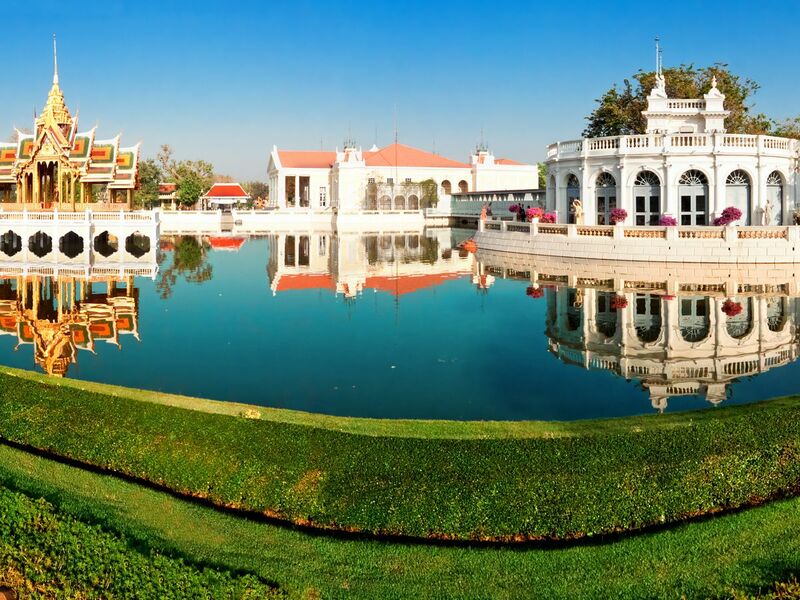 The summer palace was first constructed by King Prasat Thong in 1632 and expanded by later kings. You'll find stunning buildings in many architectural styles from Thai and Chinese to European. Please be informed that you can stroll in the palace complex, but entering the buildings isn't allowed. Move on to Wat Phanan Choeng. Pay a visit to Wat Yai Chai Mongkhon. Visit Wat Phra Si Sanphet. The temple was once the royal palace built by King U-Thong. Later, the palace was exclusively used as the royal temple for religious and royal ceremonies. Don't miss its three iconic pagodas. See the world-famous Buddha head in tree roots and Khmer-style architecture. This one day trip includes must-see historical temples in Ayutthaya, the floating market and the beautiful Bang Pa-In Palace with the Local Expert! Strongly recommended for the first-time visitors! i have had very pleasant trip with Pranom.